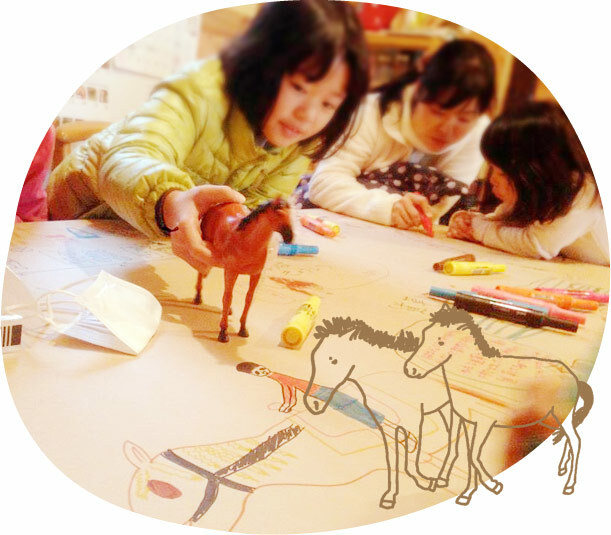 活動内容 Activity | CLUB RIO - 馬と人の居場所。A playground for both horses and people. through the connection of people and horses. Interaction with horses enriches the mind. Workshop using soil from the Kohoku area. A portion of the sales proceeds from the original goods will be donated to feeding the horses.